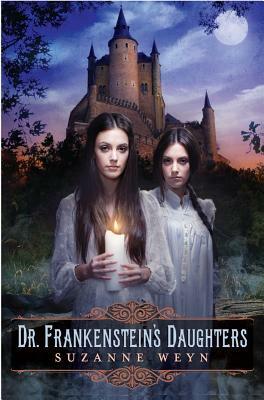 Giselle and Ingrid are the twin daughters of Doctor Victor Frankenstein, but they are very different people, and when they inherit his castle in the Orkney Islands, Giselle dreams of holding parties and inviting society -- but Ingrid is fascinated by her father's forbidden experiments. I received a complimentary copy of this book for voluntary review consideration. I was a bit underwhelmed when I read Shelley’s Frankenstein, or The Modern Prometheus earlier this year, but I enjoyed Weyn’s expansion of the classic so much more! Twin girls, Giselle and Ingrid, live with their maternal grandfather. Their father, Viktor Frankenstein, left the children in his care after his first wife, Hildy, died during childbirth. Viktor did not want the monster to find his beloved daughters, so he gave them up to keep them safe. Now, 17 years later, Baron Ernest Frankenstein has tracked down his nieces and claims to be their paternal uncle and tells them that they have inherited their father’s castle and fortune. Giselle, the more materialistic of the two, is thrilled with the idea of being a Baroness. She wants to renovate the castle and hold lavish galas. When the girls arrive at the castle, Ingrid can hardly tear herself away from her father’s journals which chronicle his experiments. She introduces herself to the neighbor, retired Lieutenant Walter Hammersmith of the Royal British Army, who was injured in battle and suffers from a degenerative nerve condition. He is only in his early 20s, but looks and feels much older. The tale has a gothic creepiness that made it hard for me to put this book down! It is told in epistolary fashion through Giselle's and Ingrid's alternating journal entries. Part of the book is predictable, as in the relationship between Ingrid and Walter. With her affection for him and her interest in her father’s work, it’s only natural that she wants to find a way to help him. The other happenings going on took me by surprise, and I did not see that twist coming! Weyn is a new-to-me author, and I plan to read more of her work. 4 stars!! It was really good, and you should put it in your TBR list if you enjoy gothic tales! Thanks again to Scholastic Canada for the opportunity to review this book!